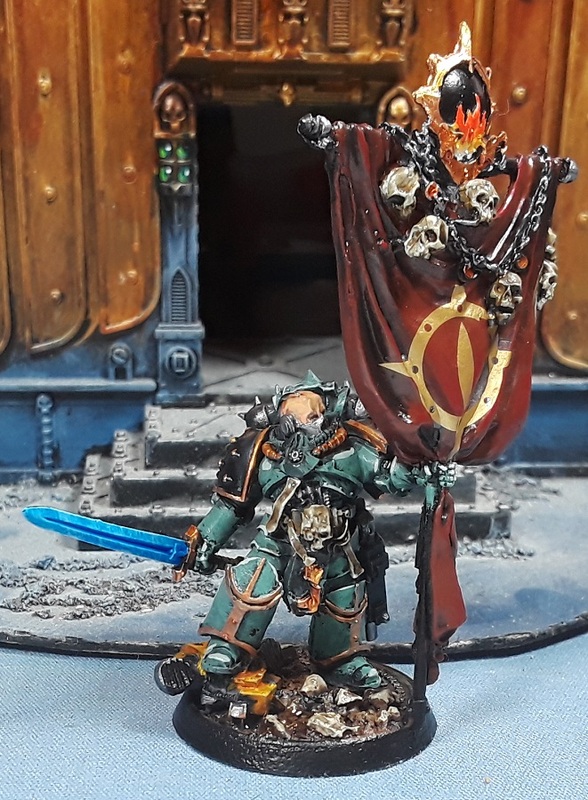 Mordian 7th Regiment: Heresy Era Sons of Horus - Veterans and characters painted! 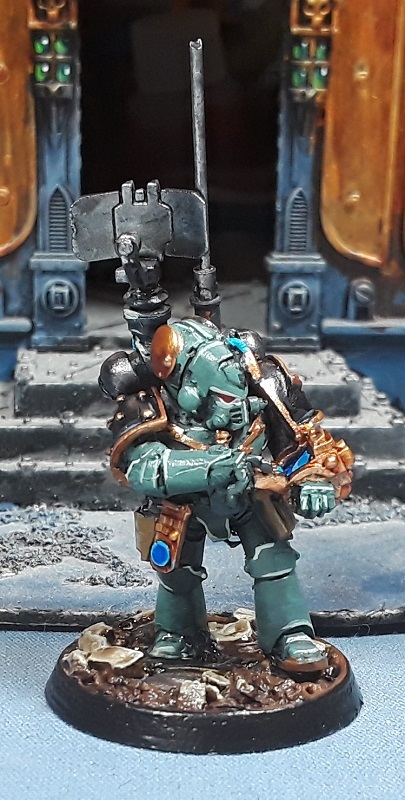 Heresy Era Sons of Horus - Veterans and characters painted! Squeaked in just under the wire over the weekend, and managed to beat the weather rolling in this morning. In typical Colorado fashion, it was 75F degrees yesterday, and today it's 32F and snowing. Knowing it was bearing down on us I was head down all morning and finished up the various models to the point where I could seal 'em! The first of the 'main characters' for the force, Maloghurst the Twisted bears a legion banner - while it's a cool sculpt all gathered into his fist, it does make it pretty challenging to add details to. Managed to trim up a Sons of Horus transfer and manage to get it to lay into all the various folds of the cloth. The Master of Signals is a nice utility character. Able to call down an orbital strike, as well as granting various buffs to squads that he joins, he's useful in a number of situations. He's sort of ideally paired with a heavy support squad, so I suppose I ought to make one! Next up are the two Veteran squads, and I'm pretty pleased with both of 'em! In looking at the pictures I needs to swap a couple troopers between the two to spread out the 'chest eye' models and balance out the unit members. Overall I'm really happy with how they turned out, and as you may be able to see I experimented with some water effects on the bases to represent them slogging through a muddy battleground. The bases from Secret Weapon lend themselves well to it, with most of them having some undercut sections that can be filled up to the lip of the base with water. Good stuff! I look away for two minutes and twenty two miniatures are finished! @Riot: Hah! I try to put in an hour or two every day, it's always nice when a whole mess of models finish up at once! @Siph_Horridus: Thanks! 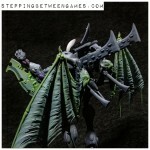 I am really digging the SoH sculpts, they have a ton of character to 'em! So cool mate, you're crushing out the SoH!! I checked through quite a few other posts that I've missed and am always amazed at how much of a hobby juggernaut you are. These are great. Full of character. @RED SCORPS: Cheers bud! I have really been enjoying the color scheme, which has kept me engaged at the painting desk for sure! @Dave Mary: I appreciate it!